I hope everyone had a wonderful hump day! I had a really interesting day myself. I had a business meeting scheduled during a time I normally don't work, so I ended up taking LO to the meeting. Luckily I knew the people at the meeting fairly well, and they really enjoyed having LO sit in during business. She charmed everyone and had plenty of smiles to give. Now, if only she can get paid for it! 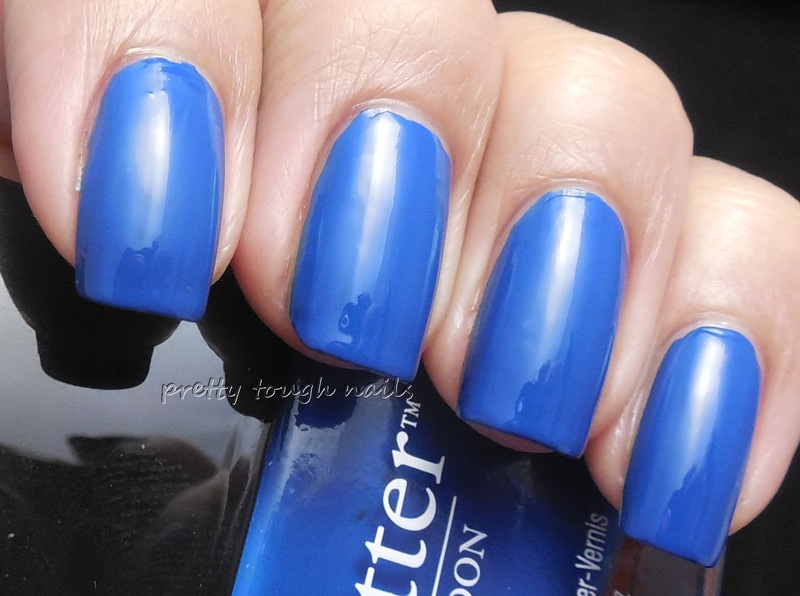 I have a lovely creamy cobalt cream by Butter London, called Blagger. I love that the Butter London polish names are based on British slang, and Blagger is no different. A quick search pulls about the definition of "British prison slang for bank robber." I imagine you can use it in a line such as, "I just got jacked by the mechanic, what a blagger!" Anyhoo, not sure if I really used that right, but onto the polish. It's a lovely shade of blue that's perfect for year round. It's not dark like a navy blue, but it's not a bright cobalt either so it pops but is still manages to stay understated. It has the perfect Butter London formula and is nearly a one coater, but I did two coats for these pics. I finished with a layer of Poshe. How gorgeous is that blue? 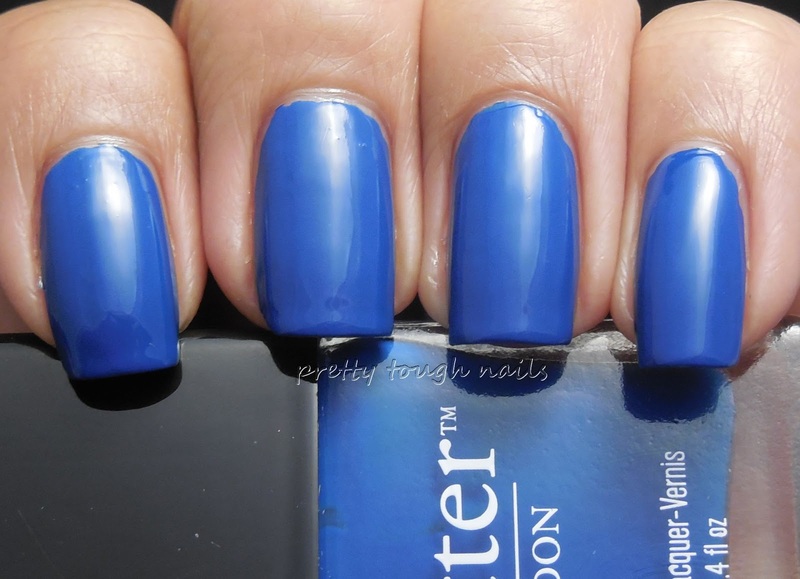 It's the perfect shade for fingers and toes, and the consistency and coverage makes it a great nail art polish. I don't normally like to wear blues because of staining but I didn't have that problem upon removal, which is another plus for me. I've been phasing out my Butter London collection, but I think I might have to reneg that and stock up on their creams. Do you like Butter London polishes, and if not, why?